- SuperSU installation during the first power on TWRP 3.1.1. Attempts to install MIUI 10 from Android 7 always ended with a bootloop. The first start occurs after about 10 minutes of waiting. 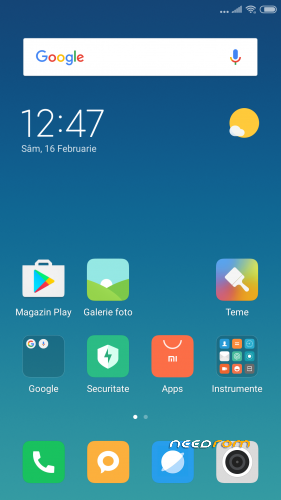 I tested this rom called MIUI 10 S7-4G for three days. - accelerated discharge of the battery (discharge up to 45-60% per day, for comparison – on the latest official firmware Elephone_S7_97_20171018 – discharge up to 75-85% per day). As an experiment, in order to reduce the discharge rate of the battery, almost half of the applications were turned off (most of the MIUI services and the built-in browser). Unfortunately, it was not possible to achieve a significant reduction in battery discharge. - in the WIFI networks menu there is an error "NVRAM WARNING: Err = 0×10". Personally, I did not test the use of the second SIM card, but if you use only one SIM card, then this error is not significant.